Flatmattersonline - Injury News: Matti Hemmings ruptures disc in back! Some serious injury news today, Matti Hemmings has been battling issues with his back for the last two years. Lower back issues are quite common amongst flatlanders, it turns out Matti had ruptured a disc in his back and he went private to get the issue sorted as quickly as possible. Here’s what Matti had to say, get well soon Matti from all the flatland community! “So here’s the Big news…. in the passed 2 years I have had a issue with lower back pain. It’s been off and on, and hasn’t really effected my everyday lifestyle. I was being treated by a chiropractor from The Medical clinic in Bristol for 2 years, who said it was a posture issues. After hearing this I decided to work on my posture, strengthening the core and adding more stretching into my routine, while continuing to have treatment. Due to another extreme flair up again a month ago I decided to get a MRI scan. 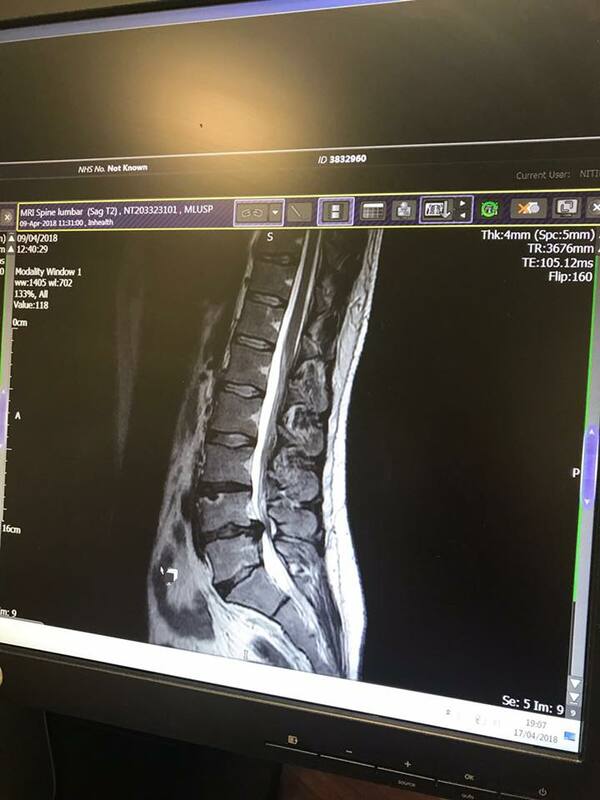 The findings – a huge ruptured disc that was pushing against my nerves that controls my stomach functions and other important parts of the human body. I saw two consultants, Dr Stuart Miller, who ran the scan and who after seeing the findings referred me to Dr Patel, a neurosurgeon, who’s highly recommend within the UK. At the first meeting after looking at me and the MRI scan he couldn’t understand how I could have done the things that I have for last two years, which include traveling, TV shows, BMX shows, international competitions and achieving more on my BMX than ever before. 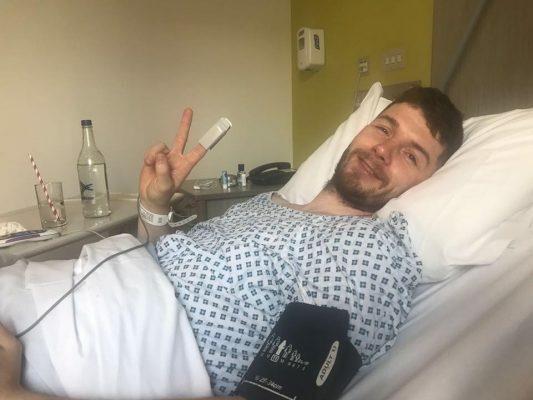 After hearing his concerns about what damage would be caused if it was left I decided to get an operation and was rushed through due to the severity of the rupture. Two days ago I was riding in Bristol, completely pain free, and I was pleased with what I could do, but also had the knowledge that if I left the disc it could end my riding career and in a worst case scenario I wouldn’t be able to walk in the future. I’m happy to say that I had the operation yesterday and it was a success. Now am in recovery and will be back to riding my BMX soon. Massive thanks to Dr Patel who is helping me get back on the bike and ensure that there’s many more riding years in my still. The support has been amazing along with care at the Nuffield Hospital.